Get the facts on Voter ID laws to find out if voter ID a form of voter suppression, or if individual in-person voter fraud a problem in the US? About 11% of US citizens (over 21 million Americans) do not have government-issued photo identification. Those most likely to not have proper ID are students, seniors, low-income Americans, and non-white Americans. About 25% of voting age African Americans don’t have a government-issued photo ID. Comparatively only 8% of their white counterparts do. 18% of Americans over 65 don’t have a government-issued photo ID. Voter ID laws say that a voter must possess proof of identity to vote. The more recent voter ID laws passed in 31 states tighten up the forms of ID able to be used. This differs state by state. Voter fraud itself does not refer specifically to voter ID fraud. Voter ID fraud is one of many types electoral fraud. Voter ID laws are seen by some as a modern form of poll tax as many of the countries poorest will not vote due to a lack of proper state issued ID. 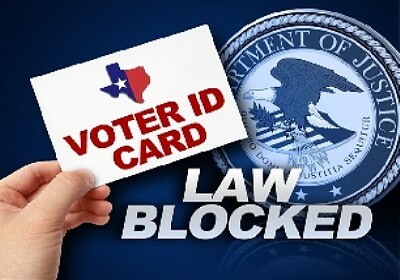 The new Voter ID laws were enacted by Republicans… Voter ID laws will mainly impact would be voters for the Democratic party. Voter ID laws are mainly passed in swing states where preventing a win by Democrats could mean a Republican victory. Voter ID laws make it harder for poor people, students and the elderly to vote (they are less likely to have a valid form of state issued ID). 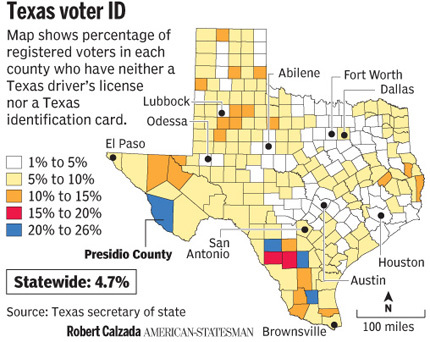 Some states offer “free” ID cards. In order to get a “free” ID card a voter needs another valid form of ID. 12% of voting-age US citizens don’t have a valid form of state ID. In order to obtain a “free ID” they need a certified copy of a birth certificate which costs from $10 to $45 depending on the state, a passport which costs $85, and certified naturalization papers which cost $19.95. Learn more voter fraud facts and voter ID facts from the Brennan Center for Justice Report “the Truth About Voter Fraud“. The new voter ID laws will have a significant impact on Florida. It’s a fact that many voters hindered by the new voter ID laws are likely to vote for President Obama. Since many of these voters will not vote due to the strict voter ID requirements this swing state is in danger of casting a skewed vote in election. Remember 2001 when George Bush beat Al Gore. Many people blamed the voting process on the narrow victory, the key battleground state in question in this election was Florida. We need to stand up for democracy and that means giving everyone a fair opportunity to cast their vote as American citizens. This is even more important in Battle Ground states like Florida where the voter ID laws make their biggest impact. The clerk or inspector shall require each elector, upon entering the polling place, to present a current and valid picture identification as provided in s. 97.0535(3)(a). If the picture identification does not contain the signature of the voter, an additional identification that provides the voter’s signature shall be required. If the elector fails to furnish the required identification, the elector shall be allowed to vote a provisional ballot. The canvassing board shall determine the validity of the ballot by determining whether the elector is entitled to vote at the precinct where the ballot was cast and that the elector had not already cast a ballot in the election. Florida uses signature matching: the voter signs the provisional ballot envelope. That signature is compared to the signature in the voter registration records. If they match, the ballot is counted. Florida will be a key state moving forward. Help prevent voter fraud the right way and fight back against the current voter ID laws if think that they are unfair. Remember the actually counts of voter ID fraud have been few and far between, many seniors, students and those struggling to get by will not cast their vote due to the current voter ID laws in Florida. Don’t stand back and let injustice continue if you believe the new laws are wrong. Each elector shall present proper identification to a poll worker at or prior to completion of a voter’s certificate at any polling place and prior to such person’s admission to the enclosed space at such polling place. If you show up to vote and you do not have one of the acceptable forms of photo identification, you can still vote a provisional ballot. You will have up to three days after the election to present appropriate photo identification at yourcounty registrar’s office in order for your provisional ballot to be counted. An elector who votes in person in a primary or general election shall present government-issued photo identification before being allowed to vote. Voters who live and vote in a state-licensed care facility are exempt. Mississippi’s new constitutional amendment simply says "government-issued photo identification." Implementing legislation and/or administrative rules will be necessary to define precisely what this means. An individual without ID can cast an affidavit ballot which will be counted if the individual returns to the appropriate circuit clerk within five days after the election and shows government-issued photo ID. Voters with a religious objection to being photographed may vote an affidavit ballot, which will be counted if the voter returns to the appropriate circuit clerk within five days after the election and executes an affidavit that the religious exemption applies. All voters must provide to election officials at the polling place on the day of an election proof of the voter’s identity. Also applies to voters requesting and voting an absentee ballot. A voter who has but declines to provide identification may cast a provisional ballot upon providing a social security number or the last four digits of a social security number. A voter who has neither identification nor a social security number may execute an affidavit to that effect and vote a provisional ballot. A voter who declines to sign the affidavit may still vote a provisional ballot.